In the last decade, talk of “commons,” “commoning,” and even “commonwealth,” has become, well, common, on the left in discussions of collective but decentralized control over resources ranging from farmlands to fresh water, ocean fisheries, clean air, software code, and genetic information. Starting point for critical accounts of the commons is typically the historical destruction of the collective land of pre-capitalist agricultural communities; in Europe between the 16th and 18th centuries these were enclosed by mercantile landlords eager to sell agricultural goods in an expanding world market. Such enclosures were a crucial part of the process of primitive accumulation, creating early capitalism’s dispossessed proletariat from displaced rural populations. These commoners did not go quietly: enclosure faced “hydra-headed” opposition, but these struggles were lost and largely forgotten. Interest in commons was revived by neoliberalism. Confronting the late-twentieth century onrush of global capital, activists and theorists found in the image of the commons a perspective from which to criticize privatization, deregulation, and expropriation in numerous domains: land wars caused by the continuing enclosure of farmlands and displacement of rural populations by agribusiness, energy mega-projects and urban developers in Asia, Latin America, and Africa; ecological struggles over issues from pesticide poisoning to clear-cutting to species-extinctions and climate change; digital activism such as the free and open-source software movements and ‘creative commons’ challenges to intellectual property law; and resistances to corporate ownership of the genome of plants, animals, and humans. Commons has become a concept connecting multifarious struggles against capital’s old but ongoing primitive accumulation and its new horizons of futuristic, high-tech accumulation. Beyond resistance to enclosures, commons politics involve renewed attention on the forms of association through which communities can govern shared resources. The once powerful idea of “the tragedy of the commons”--which claimed that, without the protection of private property rights, natural resources will be degraded by neglect--has been not just challenged but reversed by theorists proposing a “cornucopia of the commons” or “inverse commons” in which collectives produce more robust, inventive results than commercial entities. The vocabulary of commons has, moreover, provided anti-corporate and anti-capitalist movements a way of talking about collective ownership without invoking a bad history--without conjuring up “communism,” conventionally narrowly understood as a command economy plus a repressive state. Commons discourse resumes older discussions about “public goods,” but breaks new ground, both in the range of ecological, biogenetic, and cultural domains it addresses, and in its interest in the possibilities for the organization of resources from below, rather than according to the models of command economies or bureaucratic welfare states. Commons politics, and the discourse around it, has its limitations. The term commons has come to cover a proliferation of proposals, some highly radical, but also some reformist, and others even potentially reactionary. As George Caffentzis points out, neoliberal capital, confronting the debacle of free-market policies, is turning to “Plan B”: limited versions of commons--be it carbon trading models, community development schemes, biotechnology research, and open-source practices--are introduced as subordinate aspects of a capitalist economy. Here voluntary cooperation does not so much subvert capital as subsidize it. Just as the original commons were an element within, rather than an alternative to, a brutally coercive feudal order, so, too, in isolation, today’s commons experiments may just supplement, not challenge, capitalist exploitation. In addition, and germane to the focus of this article, while discourse about commons is popular among environmental, digital, and biotechnological activists, it is often disconnected from labour politics. Talk of commons less frequently intersects with the lexicon of unions, solidarity, and strikes. It thus risks being disassociated from issues of work and wealth, class and poverty--where what is at stake is, still, capital’s denial of commonality via the private control of the means of production. It is as an antidote to this rift that this article discusses the worker cooperative as one form of labour commons. Worker cooperatives are a historically deep element in counter-capitalist movements from the 19th and early 20th centuries, and are a resurgent component in the contemporary search for economic assemblages alternative to planet-wide capitalism. This paper suggests “the new cooperativism,” to use the term framing this journal issue, be situated in the context of a wide set of struggles over various forms of commons. Linking together commons and cooperatives is, we believe, valuable on several counts. The history of the worker cooperative movement provides a practical demonstration of the art of collective association key to all commoning practices. It also offers an example of decentralized control of common resources that potentially connects the traditions of labour struggle to the modes of activism honed by both ecological and networked radicals. At the same time, the scope and diversity of commons activism indicates the broader currents for social change with which cooperativism must be interwoven if it is to become part of “the coming economies” beyond capital. Cooperatives can be seen as a response, at once antagonistic and accommodative, to capitalism. This point is amplified in what follows through a brief consideration of five aspects of ideal-type worker cooperative practice: associated labour, workplace democracy, surplus redistribution, cooperation among cooperatives, and, controversially, links between cooperatives and socialist states. Elements of these constitute the worker coop as a labour commons. We suggest in our conclusion, however, that the extension and actualization of the radical potential of worker cooperatives requires interconnection with other commons struggles--a process we term thecirculation of the common. Our essay’s perspective is Marxist, but one informed by other traditions of anti-capitalism present in both commons and cooperative struggles. As capitalism enclosed the commons and destroyed traditional agrarian communities, cooperatives were one form of collective organization that the dispossessed proletariat adopted in an attempt to maintain its security and dignity amid the hellish new industrial order. It was in response to “the social dislocations of the industrial revolution” that in 1844 the most famous prototype of cooperativism arose in Rochdale, England, the Rochdale Society of Equitable Pioneers. Industrial wage labourers, unemployed craft workers, and customers frustrated by commercial swindles discovered in the cooperative a means to exercise greater collective control over production and consumption. By the mid 1800s, cooperatives were an integral part of the social fabric of many English towns, spanning customer-owned retail stores to worker-owned factories to free adult-education classes run by coop societies. The value of these great social experiments cannot be overrated. By deed, instead of by argument, they have shown that production on a large scale, and in accord with the behests of modern science, may be carried on without the existence of a class of masters employing a class of hands. There is some dispute about the balance of positive and negative elements in this complex assessment of coops. We will revisit Marx’s comments on the shortcomings of the worker coop later. For the moment, we return to Marx’s allusion to “associated labour” as a collective subjectivity animating the cooperative factories. Picking up on a reference by Marx to a “mode of production of associated labour,” Teinosuke Otani has spoken of “associated labour” as work that “sheds the alienated guise it has had as wage labour.”Associated labour is, suggests Otani, voluntary (i.e. people are no longer forced to work for a wage in order to exist); communal; consciously planned; on a sufficient scale to mobilize “social productive power”; scientific (i.e. using modern technologies); satisfying workers’ needs (i.e. as against the subordination of those needs to the requirements of capital); and realizing participants’ “species being,” or, broadly, their interconnection with other humans. Workers can cooperate with each other to do their jobs well; they can apply their knowledge about better ways to produce to improve production both immediately and in the future; and, they can end the division in the workplace between those who think and those who do. For a contemporary example of such a system, one could cite FaSinPat, an abbreviation of Fábrica Sin Patrón, which translates as “factory without bosses.” FaSinPat is a 400-member, worker-owned and -controlled ceramic tile plant in Argentina. The context of its emergence was the collapse of the country’s economy in 2001-2002, when the contradictions of Argentina’s neoliberal restructuring exploded. During a lockout, workers self-organized against their notoriously anti-labour employer, subverted their compliant union bureaucracy, took the decision to illegally enter the factory, restarted production independently, and adopted the assembly as a political model for democratic decision-making in the workplace. After a protracted battle in the courts, the tile workers were granted the right to operate as a cooperative. Assumption of the legal form of the coop made FaSinPat recognizable in the eye of the state, thus providing some shelter to this enclave of self-management within a national context in which job creation was a matter of survival. Here we note that the “key need” to which the worker cooperative is said to respond is that for “viable and meaningful employment for its members.” What is more, however, is the broader set of principles associated with worker cooperativism, including those of “self-help, democracy, equality, equity, and solidarity.” FaSinPat has been described as a factory put “at the service of the community.” To take just one example, cooperators have directed portions of their surplus toward the funding of the construction of a local health clinic. Through acts of solidarity such as this, FaSinPat supports the needs of its surrounding neighbourhood, the residents of which initially aided workers in the reclamation of the plant from its former owner. FaSinPat has justifiably become an icon of the autonomous power of associated labour in the wider currents of self-management in Argentina today. If cooperative workplace democracy extends the opportunity to the people who work in a coop to govern its operation, how this plays out in practice of course varies widely. 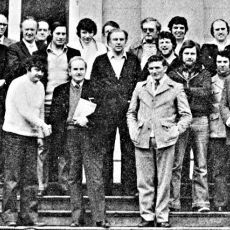 Worker coop members generally elect a board of directors drawn from the membership of the coop itself--unlike in a conventional capitalist firm where employees have no say in the appointment of directors. Further to this, a coop might devolve decision-making power in various ways. For example, at the 400-member FaSinPat, there are thirty “work units,” each one electing a committee representative who represents the department at coop wide weekly assemblies attended by all workers, although workers collectively “vote to approve or reject the departments’ proposals.”Assemblies address not only production issues, but also “joint campaigns with other community groups.” At Mondragón Corporación Cooperativa (MCC)--the famously successful inter-cooperative group in the Basque Country with more than 150 coops and 85,000 workers--each individual coop in the group has its own Governing Council, and each coop elects delegates who in turn attend an annual meta-MCC Governing Council assembly. Budget allocations, compensation policies, and expansion plans are among the topics conceivably up for collective voting. One of the main goals associated with worker cooperatives is said to be that of “increasing democracy in the workplace.” One instance of this pertains to pay equity. Historically, MCC, for example, has had in place a policy setting limits on the disparity between the highest and lowest paid in a cooperative. Some worker coops even practice almost complete pay equity despite differences in skill sets or seniority, such as in many of Argentina’s worker-recuperated enterprises. Where management is concerned, coop managers are generally expected to take decisions in the light of cooperative principles. The broad point of workplace democracy is, however, that the notion of member control implies members possess a greater ability to shape the content of their job and the environment in which it is performed--a commitment to dignity in work. In this respect, a worker cooperative with a more radical membership might seek to implement tactics for challenging a rigid division of labour by adopting a version of what participatory economics theorists Michael Albert and Robin Hahnel term a “balanced job complex” in which workers would perform a mix of roles so that rewarding and onerous tasks are more equitably distributed. We can see both strengths and limits of worker coops’ self-definition in terms of democracy by looking at one of the better-known social-democratic arguments in support of worker-ownership. Against “corporate capitalism,” Robert Dahl’s case for “economic democracy” is based on a parallel he sees between the state and the enterprise: both are a “political system,” in that each involves a power relation between the governor and the governed. If this is accepted, he asks, “is it not appropriate to insist that the relationship between governors and governed (in the enterprise) should satisfy the criteria of the democratic process--as we properly insist in the domain of the state?” Dahl reasons that if democracy is deemed inappropriate in regard to enterprise, then it cannot be justified at the level of the state either. In terms of worker ownership specifically, for Dahl, a worker coop does not negate property rights but democratizes them, in the process distributing wealth in a manner that reflects and fosters equity. More broadly, Dahl suggests that the decentralization of control at the level of the enterprise promotes democracy within but also beyond it by expanding opportunities to participate in making decision on matters that affect one’s life. Critics of coops, however, are not so certain about this diffusing influence, but fear, rather, that the line of influence can run the other way, from the anti-democracy of the market into the coop, corrupting its emancipatory promise: this is a discussion we return to later. One of the traits linking the worker coop to commons traditions concerns the distribution of economic surplus. For George Holyoake, a nineteenth-century historian of the British cooperative movement, the overriding cooperative principle is that of the “distribution of profits to all those who had a hand in generating them, including both consumers and employees.” Commitment to distributive justice is embedded in the cooperative principle of “member economic participation.” Put in Holyoake’s class-conscious terminology, cooperativism is rooted in a belief that “[i]t is more reasonable and better for society and progress that men (sic) should own capital than that capital should own men (sic). Capital is the servant, men (sic) are the masters.” The worker coop is an institution of the labour commons where worker-owners view surplus as a product of their shared efforts, and, as such, ought to be distributed equitably and democratically among those who created it. Remuneration practices in coops vary widely. MCC, for example, uses the termanticipos, rather than “wages,” to refer to the monies paid out at regular intervals to individual worker-owners as an advance on anticipated earnings. Other coops speak of a “draw” account to which dividends are deposited regularly. In terms of setting compensation levels, some coops might take their cue from private businesses operating in the same sector, others might adopt a strict wage-equity policy as with some worker coops in Argentina, and others still, especially those occupying a competitive industry and employing managers, might impose a ceiling on the differential between the highest and lowest paid occupational levels as with Mondragón. Some studies have suggested that productivity in coops matches and sometimes exceeds that of conventional firms. If, after wages and operational expenses are covered, the coop has a surplus, this leaves the question of its distribution. This surplus is likely to be modest on account of the cooperative principle of “limited returns on capital.” How surplus is distributed in a cooperative in practice varies of course. But, generally, and in keeping with the cooperative commitment to workplace democracy, worker-owners decide on it through collective mechanisms, and it will typically be set in a coop’s by-laws. Theoretically, however, worker-owners may have the option to vote for an increased individual bonus, or dividend, as a means of consuming the surplus. The attractiveness of this option to individual cooperators would lead some critics to fear that there is a tendency toward self-exploitation as coops come to internalize capitalist behaviour. Marxist critics of coops might argue worker-owners have a strong self-interested incentive to increase their individual return, rather than to invest surplus in fixed capital or reserve savings to make the enterprise more sustainable in the long run; this is one reason some statist socialists who see merit in coops with regard to control of the labour process might advocate publicly-owned worker-managed firms over full worker-ownership. To open up some of the issues around “surplus possibilities,” it is useful to turn to MCC, probably the most famous of all contemporary worker cooperatives.Headquartered in the Basque region of Spain, MCC is an inter-cooperative group of more than 150 worker-owned coops whose core activities range from retailing groceries to manufacturing automotive parts. It maintains (for the time being) the standard of socio-economic development that thousands of mostly industrial coop workers have toiled to achieve in the Basque since the first coop in the MCC network was launched in 1956 by a group of young engineers. They did so under the leadership of Don José María Arizmendiarrieta, a Catholic priest who advocated cooperativism as a strategy for the collective survival and self-determination of the Basque people in response to widespread unemployment and cultural repression under the then ruling fascist Franco regime. MCC’s success can be attributed in part to the way this coop network has managed its surpluses. At the meta-governance level of MCC’s General Council, some time ago cooperators voted to implement policies pertaining to the administration of the surplus that would counteract the risk to sustainability posed by individual economic self-interest. Ten percent of MCC’s surplus, following a Spanish law, is redirected toward charities, education, or culture, etc. How the remainder is distributed is at the discretion of worker-owners. In the current MCC model, 70% of the surplus is distributed as a dividend to individual worker-owners’ individual capital accounts. Although the member can withdraw the interest earned on the account, the principle amount is inaccessible until the member retires or resigns. Surplus is therefore used to protect and promote job growth, arguably MCC’s modus operandi. Today MCC is not only one of the ten top-earning corporate groups in Spain but is increasingly internationalizing production through foreign direct investment in emerging economies. In countries such as China and Hungary MCC operates industrial affiliates as conventional capitalist firms--typically run by Basque managers--in a familiar quest for reduced labour costs and for proximity to their industrial clients. Relocation has strengthened the core coops’ competitiveness on the world market. Those who view coop praxis through an anarchist lens of the coherence of means and ends are, not surprisingly, deeply critical of MCC’s globalization methods, seeing it as a drift away from cooperative principles. This brings us to an issue central to our thesis about the need for cooperatives to connect to other commons initiatives--that of coops’ relation to the wider economic order. From the perspective of cultivating economic autonomy, the development of links within the cooperative sector itself is of great significance. The sixth principle in the Statement of Cooperative Identity is “cooperation among cooperatives”--an ethos of mutual aid that encourages individual coops to support one another and contribute to the development of a parallel economy through practices of inter-cooperation. In this way, coops would reduce their dependence on, and seek to gain autonomy from, conventional capitalist enterprises; this is the movement-building aspect of cooperativism. Pragmatically, however, inter-cooperative sourcing can be a challenge, as it can be time-intensive simply to find a coop seller; one can imagine, however, a role for cooperatives associations to respond to this dilemma by creating a coop-centered version of the Social Purchasing Portals currently used by a small but growing number of city governments to connect purchasers and sellers who are mutually commitment to “social economy” values. Another example of inter-coop cooperation is the development of means of financing for coops. Under-capitalization is a chronic problem in the coop sector; this explains the disproportionate number of worker-coops in lines of business that are often more labour intensive rather than capital intensive. Credit unions are hence of strategic importance in the development of a cooperative sub-system. To see these dynamics at work we can turn again to MCC. An ethos of inter-cooperation has been integral to Mondragón since its early days. The success of MCC is often attributed to Caja Laboral, which was positioned at a nodal point within a wider multifunctional coop to aggregate coop surplus and to redistribute it to meet the needs of, and expand, the network of coops. One of the premises behind Caja Laboral is that retaining local jobs depends upon maintaining local control over savings. Caja Laboral retains the surplus, and offers loans, at affordable interest rates, to new coops, and also manages a fund that aids coops in periods of financial need. In addition to these forms of direct financial support, Caja Laboral also offers MCC coops “extensive research assistance on technologies, products, and markets, (and) in-depth training in cooperative principles of management.” The new coops that are supported with the collective’s surplus potentially provide services or manufacture goods that serve the needs of other coops in the network, and therefore reduce MCC’s reliance on external capitalist suppliers. The idea is to join forces and knowledge within the framework of an inter-cooperation system, which was set up with the objective of aiding comprehensive self-management processes focusing mainly on grassroots economics organizations in the developing world. The key which defines this new channel for cooperation is the establishment of a bi-directional flow for these organizational processes, which constitute the seeds for endogenous, sustainable and equitable development. Practices of cooperation among coops suggest the possibility that within the overall global system of capital a non-capitalist sub-system might grow its counter-power, reduce reliance on the primary system, and potentially render it redundant. In inter-coop cooperation we see at least a nascent possibility of how the social product of the labour commons can contribute to the expansion of a new system which seeks to continually enlarge its autonomy. Before exploring this possibility further, however, we should look at the vexed issue of worker coops’ relation to state socialist projects. Marx, as we have seen, saw the cooperatives of the 19th century as important and inspiring--but ultimately an inadequate strategy for supplanting capitalism. Revolutionary energies ought to concentrate, he believed, on the taking of state power. In looking forward to a post-capitalist society, however, Marx spoke of how “cooperative labour ought to be developed to national dimensions, and, consequently, to be fostered by national means.” This would become a familiar socialist model in the 20th century: Lenin declared the “growth of cooperation … identical with the growth of socialism”; Stalin insisted on more direct state involvement in coops, which were regarded as a “school for communism”; Mao made commune membership mandatory; and, next to the hyper-centralization of the Soviet model, Tito promoted a comparatively decentralized system of “workers’ self-management” in Yugoslavia in which each worker belonged to a Basic Organization of Associated Labour. The legacy of worker coops in socialist states is controversial. Not least because political autonomy and voluntary membership are among the longstanding principles of cooperativism, while socialist models have subordinated these values to state authority. It seems undeniable, however, that the creation, maintenance, and proliferation of worker coops today depend on the existence of state support of some kind. At minimum, there must be a legal framework recognizing the cooperative as a legitimate form of enterprise. Beyond this, governments may have varying levels of policy commitment to support the development of cooperatives. In this regard, the contemporary experiment in state-supported cooperativism that attracts most attention is the “cooperative revolution” in Venezuela. Since the election of Hugo Chávez, cooperatives have become a prominent part of Venezuela’s national economic policy. In 1999 the Venezuelan constitution was revised to enshrine the state’s responsibility for the promotion and protection of coops; in 2001 a Special Law on Cooperative Associations was passed; and in 2003 the then newly created Ministry of Popular Economy broadened the range of government support for coop development by, for example, funding buy-outs and providing self-management training. When Chávez took office, fewer than 1,000 coops were registered (representing about 20,000 members). By 2006, more than 100,000 coops were registered (representing over one million members)--a third in commerce, restaurants, and hotels; another third in transport, storage, and communications; and the rest divided between agriculture, hunting and fishing, and manufacturing. While most of these coops are small, an important subset is comprised of large industrial cooperatives, which can be the result of a national expropriation policy that targets bankrupted firms and converts them into coops. The relationship between the Venezuelan state and individual cooperatives is guided by the concept of “co-management.” Described as “an alternative to capitalism,” Lebowitz contrasts co-management to the system of Yugoslav self-management. In the latter, Lebowitz writes, “[t]he focus of workers within each firm was on their own self-interest.… What was missing was a sense of solidarity with society as a whole, a sense of responsibility to and responsibility for society.” Although the Yugoslav enterprises were state-owned, and viewed as social property, they functioned in the market and were driven by the interest of the workers in the confines of an individual enterprise. Co-management implies a particular kind of partnership--a partnership between the workers of an enterprise and society. Thus, it stresses that enterprises do not belong to the workers alone--they are meant to be operated in the interest of the whole society. In other words, co-management is not intended only to remove the self-interested capitalist, leaving in place self-interested workers; rather, it is also meant to change the purpose of productive activity. It means the effort to find ways both to allow for the development of the full potential of workers and also for every member of society, all working people, to be the beneficiaries of co-management. The limits, contradictions, and obstacles to co-management in Venezuela are many. Venezuelan co-management is nonetheless perhaps the major experiment in popular economic participation so far in the twenty-first century. Capitalist co-option or circulating common? J.K. Gibson-Graham and their colleagues problematize what they see as a “capitalocentrism” suffusing anti-capitalist discourse. It is suggested that the categories of mode of production used by Marx are to be understood not as “historic chronology but as a formal typology that could be present in any combination.” A worker coop could thus be viewed as a “communal enterprise” within and against capital’s dominant distributive logic to the extent that in a worker cooperative “the workers who produce the wealth also collectively appropriate and distribute the surplus associated with their productive economic activity.” How surplus wealth is managed is, as we noted earlier, one of the sharpest distinctions between a worker coop and a conventional capitalist firm. Does this mean that worker-owners, in a situation where common ownership over assets is combined with labour’s sovereignty over the surplus, have transcended capitalist exploitation? [W]hen worker-owned firms must compete in goods, labour, and financial markets with capitalist firms which adhere to the bottom line there is relentless pressure on worker-owners to abandon prioritizing the quality of work life and fair systems of compensation, and to succumb to exploitative relations with suppliers, customers, external parties, and the environment. For worker coops to avert a co-optive fate they must be part of a larger vector of transformation moving beyond capitalism. The failure of authoritarian state socialism, the ascendancy of neoliberalism, and, recently, its catastrophic financial crisis, have prompted a wave of new thinking about the form of such system-change, such as the schematic models of “life after capitalism” offered by Michael Albert, or the more fluid conceptualizations of a post-capitalist politics proposed by Gibson-Graham. As a contribution to this discussion, we propose the concept of “the circulation of the common.” It is, again, Marx who provides our point of reference--not, however, so much as a theorist of the seizure of state power but rather as an analyst of how modes of production emerge, grow, and become self-perpetuating. Marx deemed the “cell form” of capitalism to be the commodity, a good produced for exchange between private owners. In the “circuit of capital” the commodity is exchanged for money, which buys resources in turn transformed into more commodities. This cycle is expressed in the formula, M_C – . . . P . . . C' ─ M'. Money (M) purchases as commodities (C) labour, machinery, and raw materials for production (P) to create new commodities (C') that are sold for more money (M'), part of which is retained as profit, part used to purchase more means of production to make more commodities; rinse and repeat. This becomes an auto-catalytic, self-generating, boot-strapping process. Within this circuit, there are different kinds of capital. The transformation of commodities into money (C-M) is the role of mercantile capital; the production of commodities by means of commodities (P) is conducted by industrial capital, and the conversion of money capital into productive capital is the ostensible task of financial capital (M-C). This is the growth mechanism that converts the cell form of the commodity into what Marx termed more “complex and composite” forms, an entire capitalist metabolism, the path from capital’s molecular level to its molar manifestation. If we think of a rotating sphere not only accelerating in velocity as its speeds its circulatory processes but expanding in diameter as it fills more and more social and geographic space, we have the image of global capital. If the cellular form of capitalism is the commodity, the cellular form of society beyond capital is, we suggest, the common. A commodity is a good produced for exchange, a common a good produced to be shared. Exchange presupposes private owners between whom it occurs. Sharing presupposes collectivities within which it occurs. The circuit of the common traces how these collectivities--which we term association--organize shared resources into productive ensembles that create more commons, which in turn provide the basis for new associations. So in a rewritten circulation formula, C represents not a Commodity but Commons, and the transformation is not into Money but Association. The basic formula is therefore: A ─ C ─ A'. This can then be elaborated into A ─ C . . . P . . . C' ─ A'. Just as the circulation of capital subdivides into different types of capital--mercantile, industrial, financial--we should recognize differing moments in the circuit of the common. Let’s call them eco-social, networked, and labour commons. Eco-social commons would be institutions managing the biosphere not as a commercial resource, but as the shared basis for any continuing form of human association--collective agencies for planetary climate control, fishery reserves, protection of watersheds, and prevention of pollution. Eco-socialcommons indicates that the same planning logic also encompasses epidemiological and public health care provisions, regulation of the food supply, biotechnological monitoring, all understood, again, not as strategic opportunities for commercial exploitation, but as a precondition of species life. By networked commons we mean communication systems that unleash, rather than repress, the tendency of digital technologies to create non-rivalrous goods and common pool resources that overflow intellectual property regimes. We are thinking not merely of liberal “creative commons” initiatives, but of large-scale adoption in public institutions of open-source practices; the remuneration of cultural producers in ways that allow the relaxation of commercial intellectual-property rights; plus the education and infrastructures that make access to peer-to-peer systems a public utility as common as the telephone. By labour commons we mean the democratized organization of productive and reproductive work. And this brings us back to worker cooperatives, in which the workplace is an organizational commons, the labour performed is acommoning practice, and the surplus generated, a commonwealth. 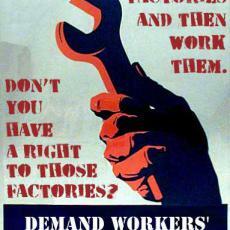 Worker coops would not, we emphasize, be the sole component of a labour commons. Their growth would have to go alongside (and could potentially be aided by) wider measures; for example, we think that there is much to be said for the combination of worker coops with a universal basic income, conceived not as a glorified welfare handout, but as an acknowledgement of the contribution to collective productivity of every life. But accompanying such a guarantee of basic material conditions of dignity, worker cooperatives would, as an expression of self-organized associated labour, be exemplary “cells” building a larger commonwealth metabolism. To speak of the circulation of the common is to propose connecting eco-social, labour, and networked commons to reinforce and enable one another, creating a circuit in which the common goods and services produced by associations at one point in the circuit provide inputs and resources for associations at another, making what Gibson-Graham call a “generative commons.” So, for example, we can envisage large-scale eco-social planning seeding various worker cooperatives and associative enterprises, which then in turn generate the goods and services required for ecological, public health, and welfare planning--including the non-rivalrous networked commons, a pool of free knowledge and innovation to be used in turn in the planning and production of the eco-social and labour commons. The three moments in our model of the circulation of the commons--ecological, labour and network or communicational--map onto the three moments of the circulation of capital--financial, industrial, and mercantile--yet also signal a profound alteration in their logic. While the financial circuit of capital defines that system’s prime directive, making money from money, the ecological circuit specifies a contrary priority, the preservation and enhancement of the biospheric commons; where the industrial moment of capital’s circulation concerns the appropriation of productive surpluses by owners, the labour moment in commons circulation specifies the sharing of these surpluses by workers and their communities; and while the mercantile moment of capital hinges on commodity exchange as capital’s most important form of social interaction, the communicational moment in the commons involves the dialogic interaction necessary for democratic planning and an economics of association. Thus the circuit of the common and the circuit of capital are symmetrical yet shifted, homologous but displaced from one another by transition to a set of alternative social priorities. Theoretical and abstract as these formulations may sound, we find concrete and practical demonstrations of the circulation of commons in the various experiments in solidarity economics gaining traction in Latin America and elsewhere. 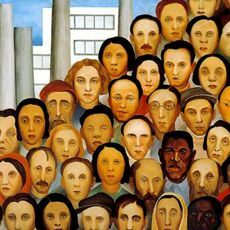 Brazil’s solidarity economy system, for example, arises from movements of workers and landless peasants, infused by liberation theology traditions, and by the history of quilombos (self-governing communities) of escaped slaves. Strongest in agricultural production, the sector also includes industrial, service, and software components. It links workers cooperatives and self-managed enterprises with alternative financial institutions, consumer cooperatives, and fair trade systems in an attempt to create a self-reinforcing network of economic activities in which participants’ activities are informed by an ethical and political sense of shared social responsibilities. The units of these networks are conceived not just as individually following principles of social and environmental justice, but providing inputs for each other, to create an inter-cooperative, self-expanding system. 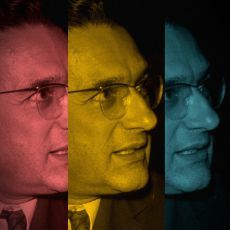 Euclides Mance, a leading solidarity economist, writes of “socially based cooperation networks” reinforcing their component parts until “progressive boosting” enables them to move from a “secondary, palliative or complementary sphere of activity” to a “socially hegemonic mode of production.” This solidarity economy now garners some support, however equivocal, from the Worker Party government elected in 2002, which, for example, funds experiments in the development of digital tools not only to map participant organizations, but also to track inputs, outputs, and wastes so that the sector can be increasingly integrated and self-sufficient. The difficulties and pitfalls faced by Brazilian solidarity economics under a Lula government that often continues to follow neoliberal policies are manifest; nonetheless, it is a striking example of the sort of cell-growth of commons envisaged here. Such a circulation of commons can only arise from the circulation of struggles, that is, from social experiments created in resistance to the expanding circulation of capital. As we noted at the outset, fights for commons--terrestrial, networked, labour--are underway. The circulation of the common is a forward projection of these contests; it is a concept of emergence. If capital is an immense heap of commodities, commonism, as we envisage it, will be a multiplication of commons. The idea of the circulation of the commons proposes a systemic transformation, but starts small, with cellular model of commons and association that is simple, even rudimentary. It then scales, at levels from the domestic to the municipal to the planetary. The totality it envisages is a multiplicitous one--a complex, composite non-capitalist society composed by an interaction of different kinds of commons with distinct, specific logics. This is not necessarily a model of changing the world without seizing power. The role of the state in co-management initiatives, such of those of the Venezuelan and Brazilian governments we noted earlier, may be vital in allowing the circulation of commons to attain a critical mass. Our concept does, however, suggest that growth and interconnection of the commons have to precede such state interventions, to prefiguratively establish the necessary preconditions. It must also grow beyond the moment of such direct interventions, in a proliferation of self-starting components that exceeds centralized control. In this sense, the idea of the circulation of the commons is a concept from and for the Marxian tradition of autonomous free association. Even as we acknowledge the many constraints on and co-options of worker cooperatives, we think it unwise to dismiss their contribution to widening the horizon of commons politics. Despite their contradictions, worker coop experiments are part of a long tradition of troubling the subject of waged-labour (associated labour), developing an ethics of production (workplace democracy), sharing wealth produced in common (surplus distribution), demonstrating the state can aid in the encouragement of alternatives to capitalist enterprise (state support), and fostering a parallel, community solidarity economy (cooperation among cooperatives). Furthering the radical potential of these labour commons initiatives, rather than reducing them to modest forms compatible with capitalism, depends, however, on worker coops becoming part of a broader movement--what we term the circulation of the common--with the explicit aim of creating not just more work but rather workable alternatives to the dominant mode of production: cooperating to produce not more jobs under capitalism, but more of life in common. Greig de Peuter is Assistant Professor in the Department of Communication Studies at Wilfrid Laurier University. He is co-editor, with Mark Coté and Richard J.F. Day, of Utopian Pedagogy: Radical Experiments Against Neoliberal Globalization (University of Toronto Press, 2007). Nick Dyer-Witheford is Associate Professor and Associate Dean in the Faculty of Information and Media Studies at the University of Western Ontario. He is the author of Cyber-Marx: Cycles and Circuits of Struggle in High-Technology Capitalism (University of Illinois Press, 1999). Together, Nick Dyer-Witheford and Greig de Peuter are the co-authors ofGames of Empire: Global Capitalism and Video Games (University of Minnesota Press, 2009), and, with Stephen Kline, of Digital Play: The Interaction of Culture, Technology, and Marketing (McGill-Queen’s University Press, 2003). See, for example: Bollier, D. (2002). Silent theft: The private plunder of our common wealth. New York: Routledge; Hardt, H. & Negri, A. (2009).Commonwealth. Cambridge, MA: Belknap Press; Holdren, N. & Shukaitis, S. (Eds.). (2006). Re(in)fusing the commons. The Commoner, 11.http://www.commoner.org.uk/index.php?p=24; Midnight Notes. (1992).Midnight oil: Work, energy, war, 1973-1992. New York: Autonomedia; McMurtry, J. (1999). The cancer stage of capitalism. London: Pluto; Shiva, V. (2005). Earth democracy. Cambridge, MA: South End Press. Linebaugh, P, and Rediker, M. (2000). The many-headed hydra: Sailors, slaves, commoners and the hidden history of the revolutionary Atlantic. London: Verso. Hardin, G. (1965). The tragedy of the commons. Science, 162, 1343-1348;Bricklin, D. (2001). The cornucopia of the commons. In A. Oram (Ed.) Peer-to-peer: Harnessing the power of disruptive technologies (pp. 59-63). Cambridge: O’Reilly; Raymond, E. (2001). The cathedral and the bazaar: Musings on Linux and open source by an accidental revolutionary. New York: O’Reilly Media. Caffentzis, G. (2004). A tale of two conferences: Globalization, the crisis of neoliberalism and question of the commons. Centre for Global Justice.http://www.globaljusticecenter.org/papers/caffentzis.htm. See: Zizek, S. (2009). How to begin from the beginning. New Left Review, 57, 43-55. For an exception to the separation of commons and labour politics, see:Waterman, P. (2003). All in common: A new/old slogan for international labour and labor internationalism. The Commoner, 6.http://www.ainfos.ca/03/jan/ainfos00533.html. Day, R.J.F. (2005). Gramsci is dead: Anarchist currents in the newest social movements. London and Toronto: Pluto and Between the Lines (p. 210). Fairbairn, B. (1994). The meaning of Rochdale: The Rochdale Pioneers and the cooperative principles. Saskatoon: Centre for the Study of Cooperatives, University of Saskatchewan (p. 2). Marx, K. (1992). The First International and after: Political writings, Volume 3. London: Penguin (p. 79). K. Marx, cited in: Gibson-Graham, J.K. (2006). A postcapitalist politics. Minneapolis, MN: University of Minnesota Press (pp. 108-109). See: Jossa, B. (2005). Marx, Marxism, and the cooperative movement.Cambridge Journal of Economics, 29, 3-18. Otani, T. (2007, October 3-6). Labouring individuals and association. Paper presented at Congrès Marx International, Paris, Sorbonne et Nanterre.http://netx.u-paris10.fr/actuelmarx/cm5/com/M15_Marx_Otani.doc. Lebowitz, M. (2003). Beyond capital: Marx’s political economy of the working class. New York: Palgrave Macmillan, (pp. 88-89). Canadian Worker Coop Federation (n.d.). Statement of cooperative identity. http://www.canadianworker.coop. Lebowitz, M. (2005, October 24). Constructing co-management in Venezuela: Contradictions along the path. Monthly Review Zine.http://mrzine.monthlyreview.org/lebowitz241005.html. cited in Lebowitz, 2003, pp. 88-89. See: Trigona, M. (2006, July 13). Zanon: Worker managed production, community and dignity. Toward Freedom. http://towardfreedom.com/home/content/view/855/68/. M. Mendez, cited in Trigona. See: Sitrin, M. (Ed.). (2006). Horizontalism: Voices of popular power in Argentina. Oakland, CA: AK Press; Vieta, M. (2010). The social innovations ofautogestión in Argentina’s worker-recuperated enterprises: Cooperatively reorganizing productive life in hard times. Labor Studies Journal, 35(4), published online before print July 13, 2009, DOI: 10.1177/0160449X09337903. Canadian Worker Coop Federation. (n.d.) What is a worker coop?http://www.canadianworker.coop/worker-coop. Controversially, however, worker cooperatives can also employ hired labour, which is an example of how coops are antagonistic and accommodative to capital. Hahnel, R. (2005). Economic justice and democracy: From competition to cooperation. London: Routledge (p. 352). See: Bakaikoa, B., Errasti, A., & Begirstain, A. (2004). Governance of the Mondragón Corporación Cooperativa. Annals of Public and Cooperative Economics, 75(1), 61-87. 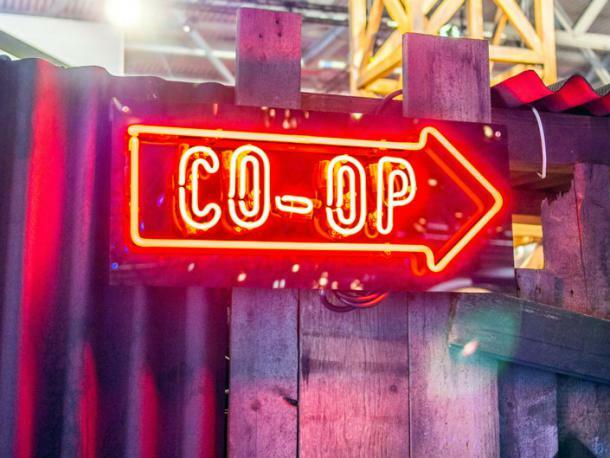 Canadian Worker Coop Federation, n.d., What is a worker coop? See: Vieta. Also see: Ruggeri, A., Martinez, C., & Trinchero, H. (2005). Las empresas recuperadas en la Argentina: Informe del segundo relevamiento del programa. Buenos Aires: Facultad Abierta, Facultad de Filosofía y Letras, Universidad de Buenos Aires, Programa de Transferencia Científico-Técnica con Empresas Recuperadas por sus Trabajadores (UBACyT de Urgencia Social F-701). See: International Cooperative Alliance (n.d.) Statement on cooperative identity. http://www.ica.coop/coop/principles.html. Albert, M. (2004). Parecon: Life after capitalism. London: Verso (pp.103-111); Hahnel, p. 190. Kasmir, S. (1996). The myth of Mondragon: Cooperatives, politics, and working-class life in a Basque town. New York: State University of New York Press. See: Bell, D. (2006). Worker-owners and unions: Why can’t we just get along? Dollars & Sense.http://www.dollarsandsense.org/archives/2006/0906bell.html. Dahl, R.A. (1985). A preface to economic democracy. Berkeley, CA: University of California Press, p. 115. G.J. Holyoake, cited in Fairbairn, p. 21. See: Logue, J. & Yates, J.S. (2006). Cooperatives, worker-owned enterprises, productivity and the International Labor Organization. Economic and Industrial Democracy, 27(4), 686-690. Gibson-Graham, pp. 101-126. For a celebratory account, see: Morrison, R. (1997). We build the road as we travel: Mondragon, a cooperative social system. Warner, NH: Essential. For a critical Marxian perspective, see: Kasmir. Between these poles, see: Errasti, A.M., Heras, I., Bakaikoa, B., & Elgoibar, P. (2003). The internationalization of cooperatives: The case of the Mondragon Cooperative Corporation. Annals of Public and Cooperative Economics, 74(4), 553-584. Pobihushchy, S. (2003, November 13-14). Establishing a cooperative economy. Paper presented at Coop Life Conference, Montpelier, Vermont. See the Canada Social Purchasing Portal at http://www.sppcanada.org. See: Morrison. Also see: Hahnel, p. 354. Lanki Cooperative Studies Institute. (n.d.). http://www.lanki.coop/home. Lenin, V.I. (1965). On cooperation. In Collected works, Vol. 3 (pp. 467-75). Moscow: Progress Publishers. Griffin, A.T., & Soderquist, L.D. (1991). The Soviet cooperative before Perestroika: The Leninist versus the Stalinist concept. The American Journal of Comparative Law, 39, 599-609. See: Kuljic, T. (2007). Yugoslavia’s workers’ self-management. In R. Oliver (Ed. ), Alternative economies, Alternative societies. Gdansk: Wyspa Institute of Art. http://www.ressler.at/workers_self-management/. See: Guadano, J.F. (2006). Structural changes in the development of European Cooperative Societies. Annals of Public and CooperativeEeconomics, 77(1), 107-127. Bowman, B. & Stone, B. (2006). Venezuela’s cooperative revolution: An economic experiment is the hidden story behind Chávez’s “Bolivarian Revolution.” Dollars & Sense.http://www.dollarsandsense.org/archives/2006/0706bowmanstone.html. The statistics in this paragraph are drawn from: Bowman & Stone. Gibson-Graham. See also: Gibson-Graham, J.K., Resnick, S., & Wolff, R. (2001). Toward a poststructuralist political economy. In J.K. Gibson-Graham, S. Resnick, Stephen, & R. Wolff, (Eds. ), Re/presenting class: Essays in postmodern Marxism (pp. 1-22). Durham, NC: Duke University Press; Byrne, K. & Healy, S. (2006). Cooperative subjects: Toward a post-fantasmatic enjoyment of the economy. Rethinking Marxism, 18(2), 241-258. Byrne & Healy, p. 253. Ibid., p. 248. See also: Gibson-Graham, p. 101-126. In We build the road as we travel, Morrison asserts that in a formal sense worker coops “abolish wage-labour for the worker-owners” (p. 65). See: McNally, D. (1993). Against the market: Political economy, market socialism, and the Marxist critique. London: Verso. See: Ollman, B. (Ed.). (1998). Market socialism: The debate among socialists. London: Routledge. Reeves, R. (2007, February 19). We love capitalism. The New Statesman.http://www.newstatesman.com/200702190026. Dyer-Witheford, N. (2009). The circulation of the common. Paper posted toSpecies-Beings blog on November 30, 2009.http://commonism.wordpress.com/2009/11/30/the-circulation-of-the-common/. Marx, K. (1977). Capital, Vol. I. New York: Vintage (p. 125). Marx, K. (1981). Capital, Vol. II. New York: Vintage (p. 180). See: Lucarelli, S. & Fumagalli, A. (2008). Basic income and productivity in cognitive capitalism. Review of social economy, 66(1), 71-92. Miller, E. (2005). Solidarity economics: Strategies for building new economies from the bottom-up and the inside-out. Posted to Grassroots Economic Organizing website:http://www.geo.coop/files/SolidarityEconomicsEthanMiller.pdf. Mance, E.A. (2007). Solidarity economics. Turbulence 1 (2007).http://turbulence.org.uk/turbulence-1/solidarity-economics. The Green Worker Cooperatives Initiative (http://www.greenworker.coop) in New York City is a contemporary North American small-scale example of the wider possibilities we imagine in, in this case, connecting eco-social commons and labour commons. Albert, M. (2004). Parecon: Life after capitalism. London: Verso. Bakaikoa, B., Errasti, A., & Begirstain, A. (2004). Governance of the Mondragón Corporación Cooperativa. Annals of Public and Cooperative Economics,75(1), 61-87. Bollier, D. (2002). Silent theft: The private plunder of our common wealth. New York: Routledge. Bricklin, D. (2001). The cornucopia of the commons. In A. Oram (Ed.) Peer-to-peer: Harnessing the power of disruptive technologies (pp. 59-63). Cambridge: O’Reilly. Byrne, K. & Healy, S. (2006). Cooperative subjects: Toward a post-fantasmatic enjoyment of the economy. Rethinking Marxism, 18(2), 241-258. Dahl, R.A. (1985). A preface to economic democracy. Berkeley, CA: University of California Press. Day, R.J.F. (2005). Gramsci is dead: Anarchist currents in the newest social movements. London and Toronto: Pluto and Between the Lines. Errasti, A.M., Heras, I., Bakaikoa, B., & Elgoibar, P. (2003). The internationalization of cooperatives: The case of the Mondragon Cooperative Corporation.Annals of Public and Cooperative Economics, 74(4), 553-584. Evans, P. (2005). The new commons vs. the second enclosures movement: Comments on an emerging agenda for development research. Studies in Comparative International Development, 40(2), 85-94. Fairbairn, B. (1994). The meaning of Rochdale: The Rochdale Pioneers and the cooperative principles. Saskatoon: Centre for the Study of Cooperatives, University of Saskatchewan. Gibson-Graham, J.K., Resnick, S., & Wolff, R. (2001). Toward a poststructuralist political economy. In J.K. Gibson-Graham, S. Resnick, Stephen, & R. Wolff, (Eds. ), Re/presenting class: Essays in postmodern Marxism (pp. 1-22). Durham, NC: Duke University Press. Goldman, M. (1998). Privatizing nature: Political struggles for the global commons. London: Pluto. Guadano, J.F. (2006). Structural changes in the development of European Cooperative Societies. Annals of Public and CooperativeEeconomics,77(1), 107-127. Hahnel, R. (2005). Economic justice and democracy: From competition to cooperation. London: Routledge. Hardin, G. (1965). The tragedy of the commons. Science, 162, 1343-1348. Hardt, M. & Negri, A. (2000). Empire. Cambridge, MA: Harvard University Press. Hardt, M. & Negri, A. (2009). Commonwealth. Cambridge, MA: Belknap Press. Holyoake, G.J. (1879). History of cooperation in England. New York: AMS Press. Jossa, B. (2005). Marx, Marxism, and the cooperative movement. Cambridge Journal of Economics, 29, 3-18. Lebowitz, M. (2003). Beyond capital: Marx’s political economy of the working class. New York: Palgrave Macmillan. Linebaugh, P. & Rediker, M. (2000). The many-headed hydra: Sailors, slaves, commoners and the hidden history of the revolutionary Atlantic. London: Verso. Logue, J. & Yates, J.S. (2006). Cooperatives, worker-owned enterprises, productivity and the International Labor Organization. Economic and Industrial Democracy, 27(4), 686-690. Lucarelli, S. & Fumagalli, A. (2008). Basic income and productivity in cognitive capitalism. Review of social economy, 66(1), 71-92. Marx, K. (1981). Capital, Vol. II. New York: Vintage. Marx, K. (1992). The First International and after: Political writings, Vol. 3. London: Penguin. McMurtry, J. (1999). The cancer stage of capitalism. London: Pluto. Midnight Notes. (1992). Midnight oil: Work, energy, war, 1973-1992. New York: Autonomedia. Morrison, R. (1997). We build the road as we travel: Mondragon, a cooperative social system. Warner, NH: Essential. Ollman, B. (Ed.). (1998). 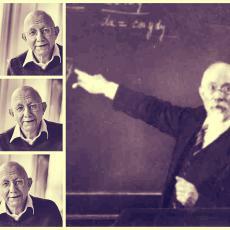 Market socialism: The debate among socialists. London: Routledge. Raymond, E. (2001). The cathedral and the bazaar: Musings on Linux and open source by an accidental revolutionary. New York: O’Reilly Media. Ruggeri, A., Martinez, C., & Trinchero, H. (2005). Las empresas recuperadas en la Argentina: Informe del segundo relevamiento del programa. Buenos Aires: Facultad Abierta, Facultad de Filosofía y Letras, Universidad de Buenos Aires, Programa de Transferencia Científico-Técnica con Empresas Recuperadas por sus Trabajadores (UBACyT de Urgencia Social F-701). Shiva, V. (2005). Earth democracy. Cambridge, MA: South End Press. Sitrin, M. (Ed.). (2006). Horizontalism: Voices of popular power in Argentina. Oakland, CA: AK Press. Vieta, M. (2010). The social innovations of autogestión in Argentina’s worker-recuperated enterprises: Cooperatively reorganizing productive life in hard times. Labor Studies Journal, 35(4), published online before print July 13, 2009, DOI: 10.1177/0160449X09337903. Zizek, S. (2009). How to begin from the beginning. New Left Review, 57, 43-55.